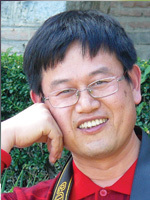 He got Ph.D in agronomy from the China Agricultural University. He currently serves as board member of the International Association for Ecology and Health. Xu is a crazy Chinese with great interest in plants, trees, and soil management related matters. He has stuck his nose into rivers, mountains, and forests all over the east and central region. He is a keen traveller and researcher with an impressive reference list.